It can also be found on page 12 of the July/August 2008 issue of Taste of Home Simple and Delicious. In a large mixing bowl, beat the cream cheese, sour cream and chili powder until smooth. Spread the cream cheese mixture over a large serving platter. Meanwhile, prepare the toppings. 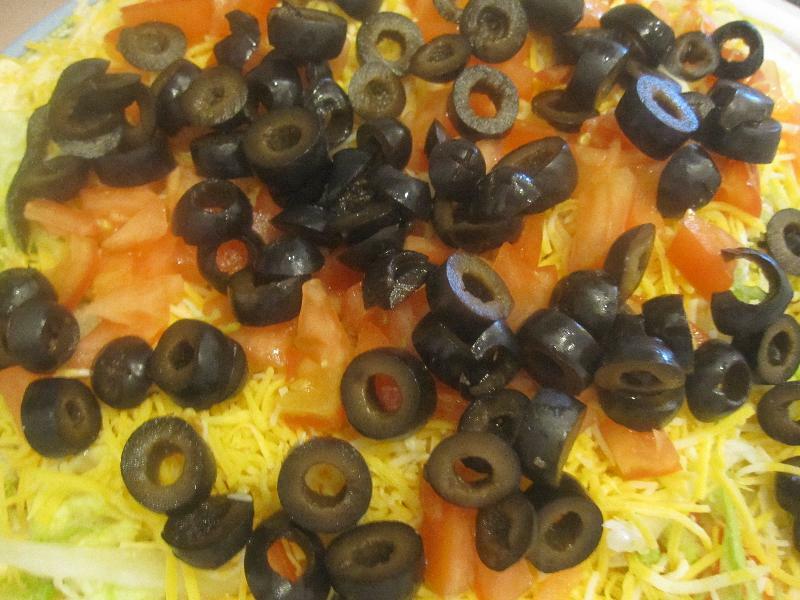 Layer the cream cheese mixture with lettuce, cheddar cheese, Monterey Jack cheese, tomato and olives.